The John Moores Painting Summit invites students, graduates, artists and anyone interested in a career in the arts to meet experts from The Royal Standard and National Museums Liverpool. They will provide discussions around topics such as preparing an artist’s statement, pricing work and submitting exhibition proposals. The stellar line-up of speakers includes Andrew Bracey, lecturer and John Moores 2004 exhibitor; Leo Fitzmaurice, winner of the Northern Art Prize 2011 and John Moores 2004 exhibitor; Julie Robson, art historian; and curator and artist, Magnus Quaife. This year’s John Moores Painting Prize winner Sarah Pickstone will also be discussing her work and practice with Director of Art Galleries, Sandra Penketh. She will be sharing her thoughts on the John Moores’ role in contemporary painting. Pickstone said: “The John Moores Painting Prize has a different feel to it this year. But perhaps I am a bit biased. Nevertheless I’d say there’s a great range of work in this show, which expands and plays with notions of what painting can be. John Moores Painting Prize Summit, 2-4 November 2012, Walker Art Gallery, Liverpool. 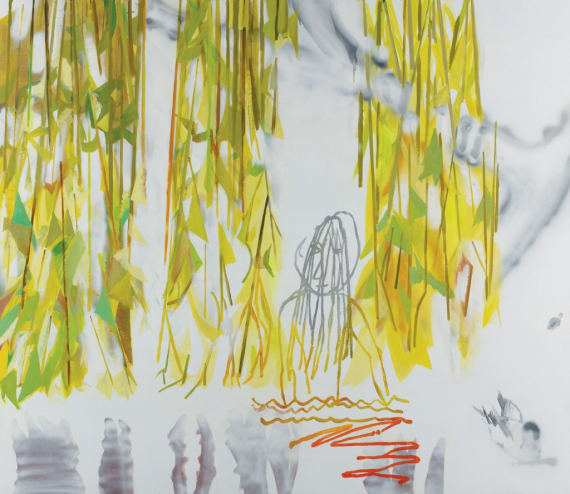 John Moores Painting Prize 2012 reviewed by Interface bursary recipients Ellen Bell and Andrew Bracey. News: “I’m a very intuitive artist” – Chris Sharratt talks to John Moores 2012 prizewinner Sarah Pickstone, patron Peter Blake, and judge George Shaw. Profile: John Moores Painting Prize – Tim Birch profiles John Moores Contemporary Painting Prize in the build up to the twenty-fifth exhibition.